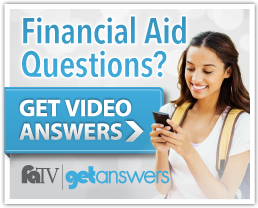 There’s a lot of information to sift through on financial aid. We’ve tried to organize this information in a way that’s easy to find and easy to read. Financial aid is designed to bridge the gap between the cost of education at a higher education institution and the expected family contribution (EFC) as determined by the Federal Government when a student submits the annual Free Application for Federal Student Aid (FAFSA). To ensure we receive your FAFSA information, include our school code: #006753. In many instances, funding is determined by what the cost of attendance is at the college. If you’re starting to feel lost or overwhelmed, check through our Frequently Asked Questions or our comprehensive documentation on Understanding Financial Aid. Throughout this process, you’ll need to visit a host of websites outside ours. Below is a listing and set-up to assist you.